The more I know people in the classic cars environment, the more I realise that the real essence and spirit of classic motorsport is preserved in little clubs. I will dedicate future posts to my dear friend Tim from Crosleykook and Ray from the Berkeley Club here in England, because today's post is for Derek from Stardust, the voice of the Sunbeam Talbot Alpine Register. I meet Derek through a common friend that introduces me as "the lad who's into classic cars" and I immediately start to ask him questions about the cars he's got and all that. He lightens up in a flattered manner showing immediately what a nice and sweet person he is. As promised after a couple of weeks I received a copy of the Club's Fanzine with a hand written note saying "hoping you won't find it too boring". Quite the opposite, obviously. First because I didn't know much about these models, second because it is indeed a nice product. It's properly printed and edited, but the big surprise was the big amount of people signing the articles. Loads of interesting things to read. 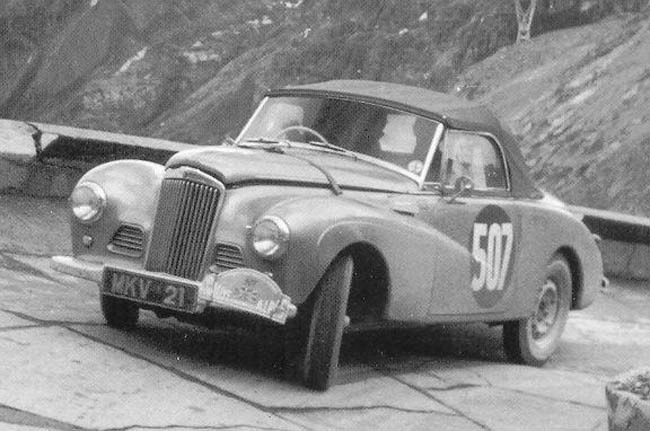 For a brief history of the Sunbeam Talbot I will simply link to wikipedia. 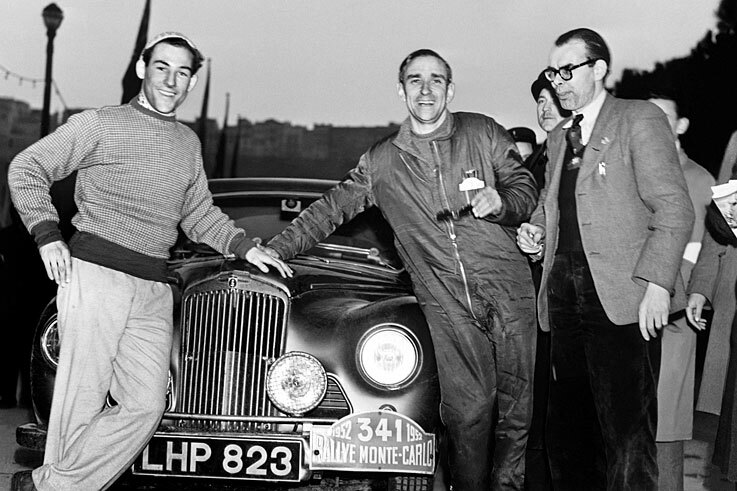 All the pictures are from the 1952 Monte Carlo Rally that saw Sir Moss bringing one of these beauties to second step on the podium. These are amazing cars worth knowing more about.